Today we received this photo from The world class Boat House restaurant in Orlando which we are very proud of. They now have one of the top CelebriDuck collections to be found anywhere and created a really beautiful display of our work. 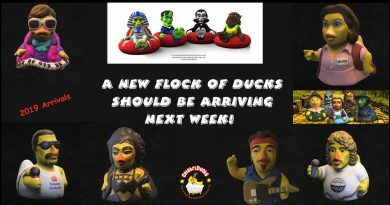 And what is really cool is that they had us create some amazing custom rubber ducks for them including an amphicar which is our rubber duck driving a little blue, green, or red car that floats on the water. They actually have a tourist attraction there where people can take rides on real amphicars in the bay outside the restaurant. 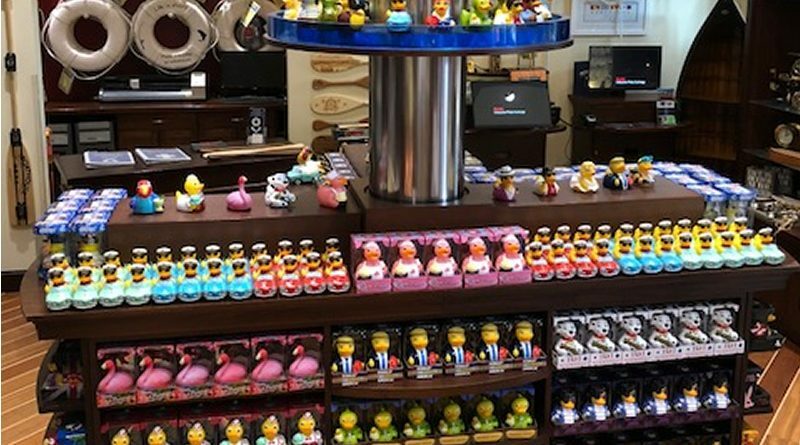 The Boat House also had us create rubber ducks for them of 101 Duckmations and a new Unicorn duck that is just amazing. You can buy them at the shop or at our website at www.CelebriDucks.com. Our Paddle Like it’s 1999, Pink Flamingos, Captain Quack Mallard of the Quackabeean, Spa Wars, I Love Ducky, Birdo Marsh, and Sargent Peepers Lonely Hot Tub Band are are all very big hits!